Book Vusi Thembekwayo as a keynote speaker. Vusi Thembekwayo is a business speaker who empowers his audience with new knowledge, research findings and tools that they can apply immediately to achieve “step-change” results. For more information on business speaker Vusi Thembekwayo, contact VBQ Speakers founding agent Leo von Bülow-Quirk on leo@vbqspeakers.com or 0044 7833 727090. 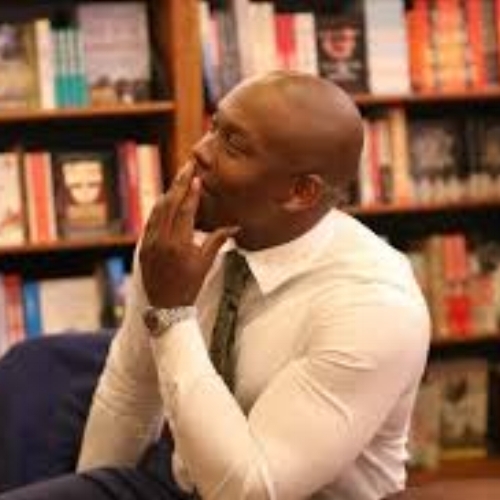 Vusi Thembekwayo is a business speaker who empowers his audience with new knowledge, research findings and tools that they can immediately apply in their businesses or careers to achieve “step-change” results. Vusi ran a R400m division in a R17bn multi-national, where he achieved the highest EBITDA within the group. Today he is the youngest director of a listed company in RSA, and sits on several boards. He is currently the MD of a boutique investment and advisory firm that helps medium, large and listed businesses achieve step-change results through their people. He has been listed as RSA’s “Entrepreneur Of The Year” and has won several international awards for his public speaking. Known as RSA’s “rockstar of public speaking”, Vusi provides audiences and businesses with the tools to radically shift their behaviour and improve results. If you want to get your business future-fit, you’d better learn to sweat your greatest assets - your people. Standing apart from the flock of average companies across the globe are the 1% - the black sheep. The extraordinary. Building a business that does more than survive. The key to surviving change is to understand why you probably won’t.